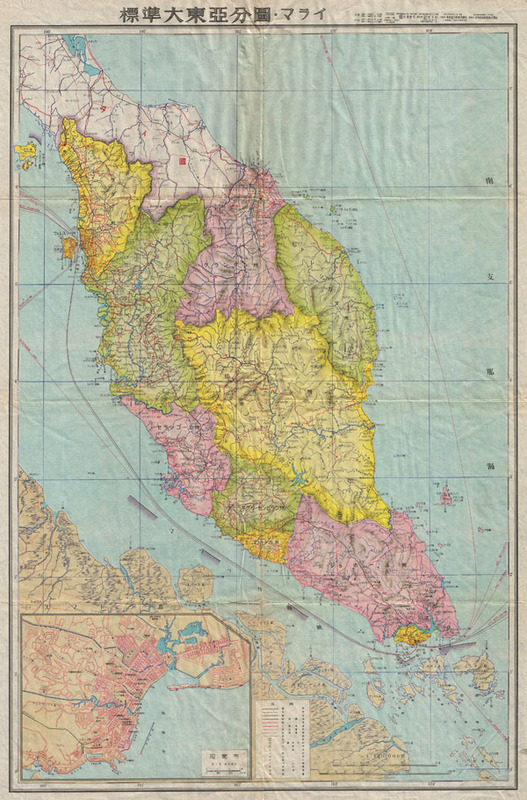 This is a rare Japanese map of the Malay Peninsula and Singapore issued during World War II. Depicts the peninsula in considerable detail noting both physical and political elements. Includes air and sea routes around the peninsula and to China and Japan. All text in Japanese. Very good condition. Original folds exhibit minor wear and toning.